Visitors to London’s Science Museum are invited to take part in a Middlesex study exploring the relationship between ourselves and others. Working in partnership with researchers from City University London and the University of California, the team have set up an interactive research hub in the Who Am I? gallery as part of the museum’s Live Science programme. They hope to explore how we focus attention on our own bodies and the bodies of other people. While similar studies have been carried out with smaller groups of participants, the Middlesex team aims to capture feedback from approximately 1,000 people, making it the largest research project ever to have been carried out on the subject. Participants will complete four easy tasks in 20 minutes, including a fingers-on-buzzers exercise, and will receive immediate feedback on how good they are at focusing on their own bodies. The findings will be used to better understand mental health, and as a helpful resource by Middlesex students for their psychology degree dissertations. “We know that we’re good at focusing attention on our own bodies if we need to, and we’re also good at getting information about other people when looking at them,”says Dr Jon Silas, Senior Lecturer in Psychology. “However, we know very little about whether there’s a link between how we focus attention on our own body and how we attend to other people’s bodies. This research will shed light on the relationship between ourselves and others. While any person aged seven or over can take part, and participants under 18 years old will need consent from a parent or guardian. 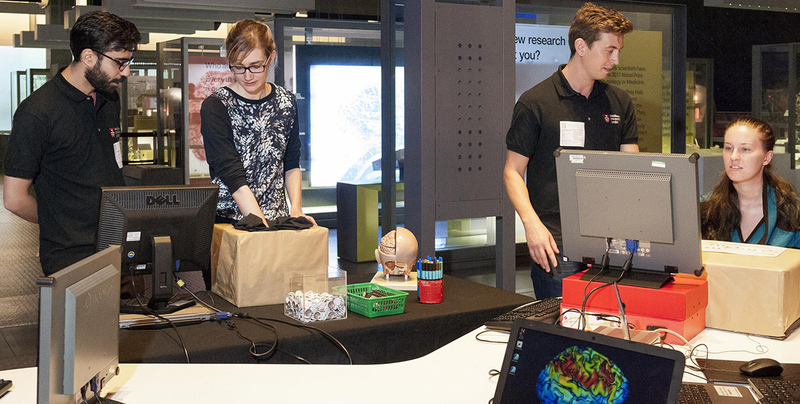 Visitors can take part in the research until 18 November on Tuesdays, Thursdays and Saturdays during the Science Museum’s opening times.